Even Home Depot is getting into the market for midcentury modern front doors, with three midcentury modern entry door styles available on their website, for in-store delivery. 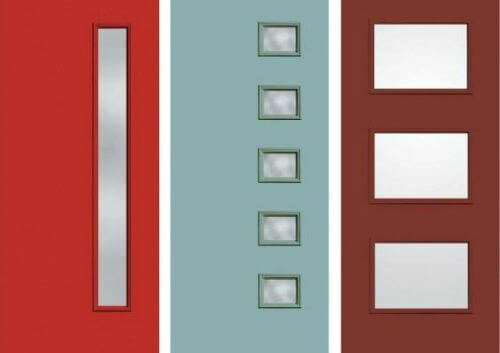 The line of fiberglass entry doors — by Builder’s Choice — is available in a variety of factory paint finishes — including a pretty candy-apple red and a skylark blue — or in a primed and ready-to-paint version. Thanks to reader Kay for this tip! We’re now up to 6 places to buy midcentury modern style front doors. The doors are available through homedepot.com only and retail for between $599-$959 depending on the style and options you choose. This beautifully pre-finished Builder’s Choice Premium door system is designed of industry leading fiberglass to complement your everyday living. It offers you a bold architecturally designed entryway that enhances modern to retro style homes. 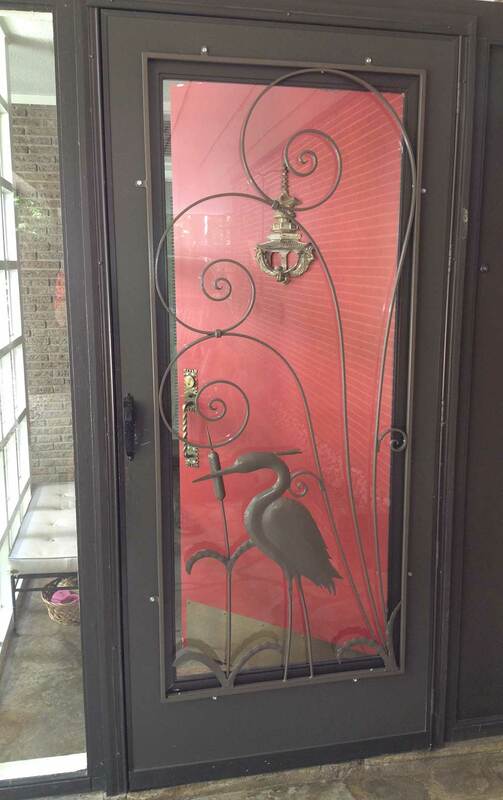 It delivers many years of durable quality you can rely on day in and day out as our fiberglass doors resist denting, rotting, rusting, cracking, and warping. This Builder’s Choice Premium door system will provide your home with the security you have come to expect from an industry leading fiberglass door, and offers the opportunity to brighten your entryway with its optional attractive glass inserts. This door will save you time and money during installation and in the future with all of its added features, strength, and energy savings. Initially, Pam wondered if these doors might be made as a Home Depot “house brand” by Therma Tru, which offers the Pulse line of midcentury style doors. But, I reached out to my media contact at Therma Tru, who verified that the Builder’s Choice doors at Home Depot are not made by them. She says that Therma Tru has an exclusive relationship with Lowe’s — so you will not find their Pulse line in any other big box retailer. So far, these midcentury modern style Builder’s Choice doors are getting good reviews on Home Depot’s website. 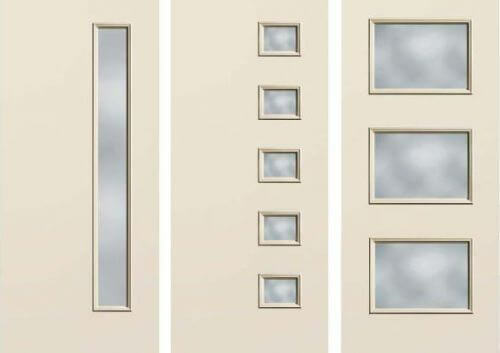 We are chasing additional information about these doors, including (1) country of origin and (2) who is Builder’s Choice (we can’t find a website for this manufacturer.) Meanwhile, we wanted to get this info out there. See our complete category Exteriors / Accessories & Hardware. Therma-Tru now has the option of a flat profile lite frame around the door windows as well as the previous scrolled lite frame. The flat profile lite option really improves the look of the doors. I need to replace my “country style” door soon and the Pulse line with flat profile 3 lites will be my choice. Recently ordered the 5 light with clear glass for a remodel we’re doing. Gorgeous door and the windows came marked with ThermaTru labels! Can’t wait to paint it and get it installed!